Help athletes apply the analytical and problem-solving skills learnt through their sport in everyday situations. Empower athletes to deal with challenges of life positively and conﬁdently by creating a support system. Assist athletes in honing their soft-skills to make them employable even after their active playing careers. We have collaborated with academies and federations and various domain experts to conduct workshops for athletes, coaches and sporting parents around topics related to their sport. This includes sessions on sports science, mentorship, movement literacy, learning strategies, importance of rest and recovery, emotional intelligence, etc. 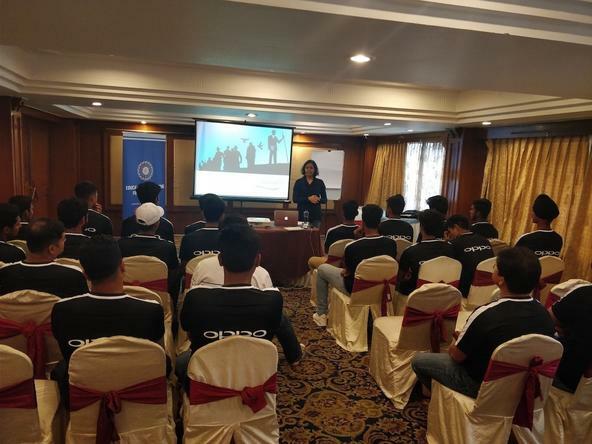 We are the Official Knowledge Partner to the Board of Control for Cricket in India (BCCI), and have conducted workshops on team building and media management for the Women's National team and the U-19 team ahead of their respective World Cup campaigns. We conduct regular conclaves to bring together stakeholders in the Indian sporting ecosystem. The inaugural Athletes’ Conclave in 2013 focused on empowering approximately 70 athletes through knowledge sharing. 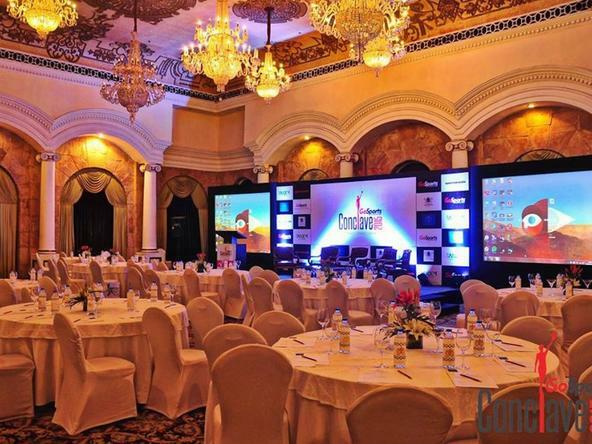 In 2015, the inaugural Coaches’ Conclave was conducted to encourage cross-learning and upskilling for approximately 150 coaches from various sports. Sessions were led by luminaries like Badminton Chief National Coach Pullela Gopichand, swimming coach of many Olympians, Nihar Ameen, and former physiotherapist of the Indian Men’s Cricket team, John Gloster. In 2017, the second Athletes’ Conclave, themed around the ‘Gold Standard’ brought 70 able-bodied and differently-abled GoSports Foundation athletes together from across the length and breadth of the country, for sessions on nutrition, media management, sports science, mental health, career management, etc by domain experts and our Advisory Board members Abhinav Bindra and Rahul Dravid. In 2018, the team worked with the International Shooting Sport Federation (ISSF) to put out its first ever publication intended for international use, intended as a one-stop shop to address topics relevant to shooters across the world. In 2017, the foundation was commissioned to develop the BCCI’s Official Cricketer’s Handbook, titled “100 Things Every Professional Cricketer Must Know”, intended as a resource to equip cricketers at every level to better handle the challenges of modern day sport. This special edition document was put together to celebrate the “Gold Standard” of Indian sport and track the journeys of our most decorated Olympic and Paralympic gold medallist respectively, Abhinav Bindra and Devendra Jhajharia. It also briefly profiles India’s two other Gold medallists – Murlikant Petkar (1972 Paralympics) and Mariyappan Thangavelu (2016 Paralympics). As the name suggests, this document was published in 2017 to document 10 reforms urgently needed in Indian sport, and lays out the context, reasons, and a step-by-step process for the implementation of the reforms proposed. In 2016, post the Rio Olympics, the foundation put together a policy brief taking stock of India’s performances at the 2016 Olympics, setting out reasons for it, discussing how to optimise existing resources and delving into issues that resulted in the below-par performance. This was intended as a tool to aid thought development among policy makers and other key stakeholders in Indian sport. In 2013, the foundation published the Athlete’s Handbook, a comprehensive resource designed as FAQs to cover a range of issues relevant to sportspersons across ages and disciplines.